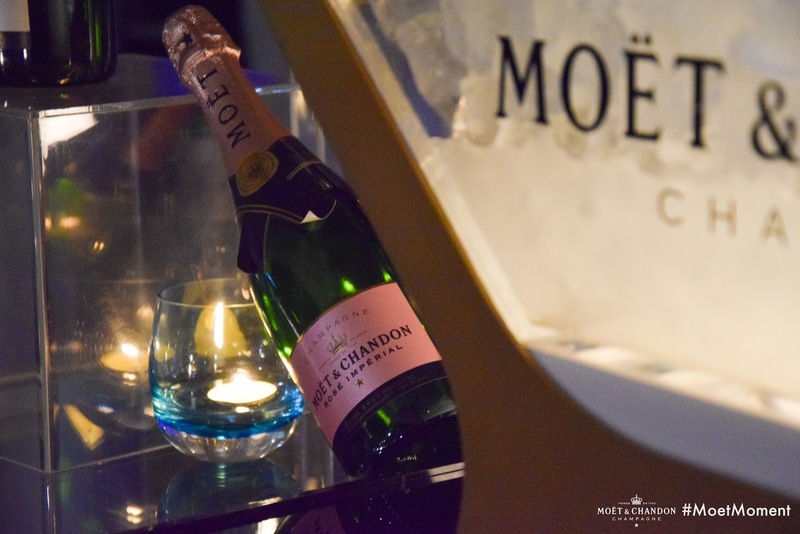 Last week on Thursday I attended the Moët & Chandon luxury dinner at Sankara Hotel. 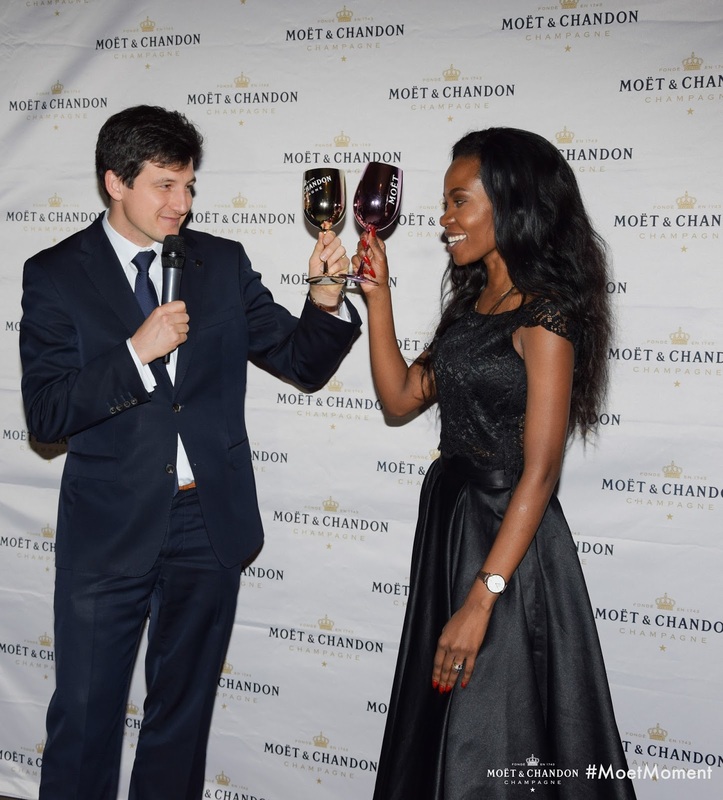 Moët & Chandon Global Brand Ambassador , Mr. Pierre-Louis Araud made his first official trip to Kenya. 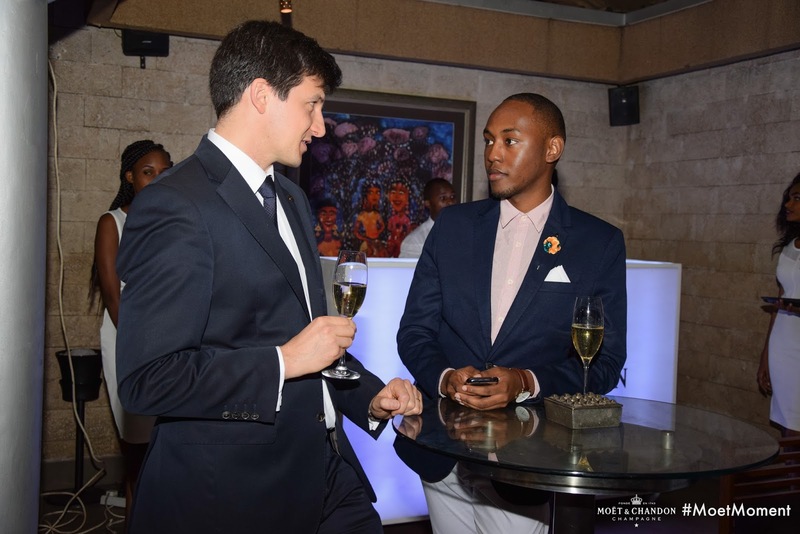 Mr. Araud is a connoisseur of luxury and celebration and he comes to Kenya in a bid to share Jean-Remy Moët lifelong goal , in his own words "To share the magic of champagne with the world." 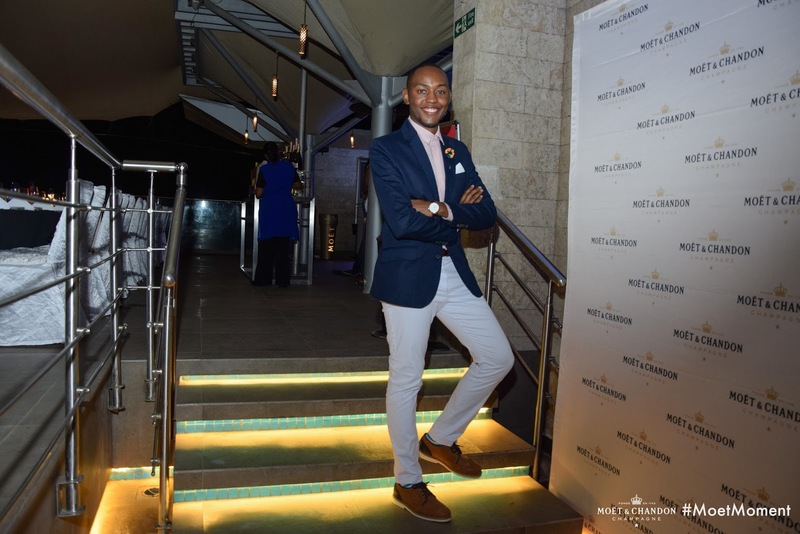 Together with Mr. Alexandre Helaine, the Moët Hennessy Eastern Africa Market Manager, Mr. Araud met with top media and blogger personalities for the fine dinning experience which gave all the attendees an immersion into the rich heritage, finesse and sophistication of Maison Moët & Chandon. 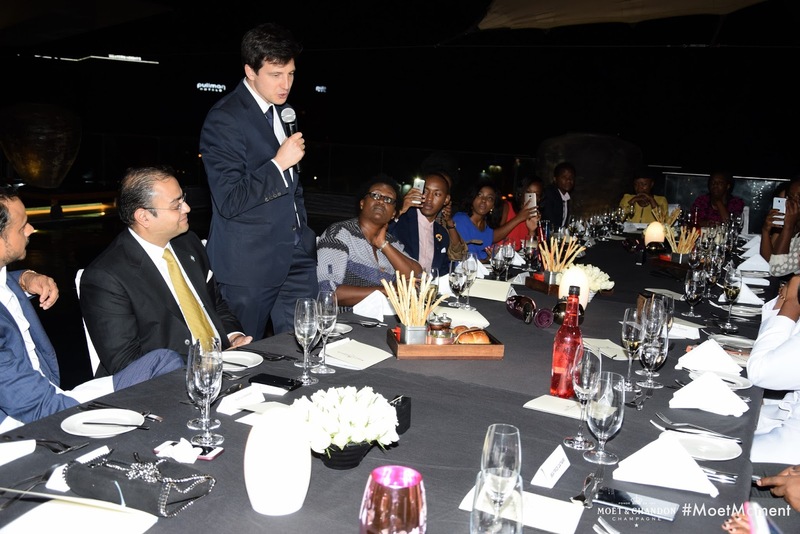 Speaking at the dinner Mr. Araud noted that "Kenya for Moët & Chandon House represents the future in Africa. We deeply believe that soon Kenya will be the top three markets in Africa together with Nigeria and South Africa." "I really feel great energy in Nairobi and Kenya in general," he added. " I feel this great sense of celebration and savior-fete and that is at the center of our DNA." The dinner was filled with excitement and a truly amazing 4 course meal which I really enjoyed if you watched my Insta-stories. As for my outfit I wore a navy blue cotton blazer which I matched with a pink long sleeved shirt, brown wingtip oxford shoes and white fitting trousers. 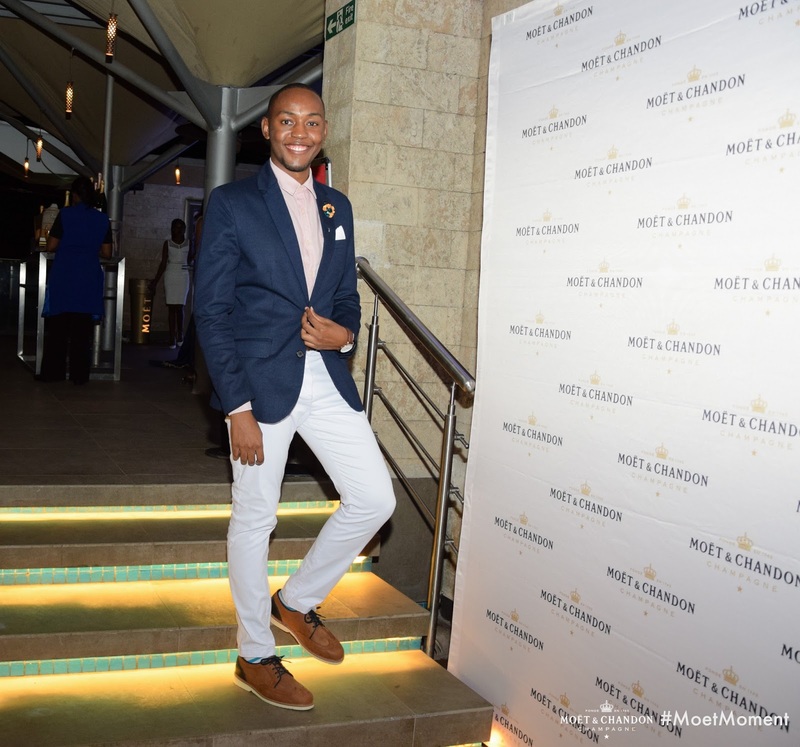 Thank you Moët & Chandon for the amazing #MoetMoment experience. Guests at the dinner table. Parsely Risotto seared scallops, bacon and caramelized mushrooms. Pistachio caper crust, braised fennel gratin, champagne sauce. Gorgonzola beignet, caramelized rosemary walnuts, blueberry gastrique. Tonka bean creme brulee, lemon basil financier, emulsion of Nectar Imperial. You are on a totally different level now Olav. This is pure revelations that one can achieve anything if effort is put.